The Mind Body Spirit Network brings to you their monthly High Vibe Tribe Book Reviews group video! Some select members of The Mind Body Spirit Network share some of their favorite books that have moved them in the hopes they will move you as well. Access your intuition and explore your true divine, timeless nature with the science-based teachings of Hans King, “one of the top five psychics in the country” (Miami Herald). Award-winning psychic Hans King provides a clear and thorough path for connecting to the invisible side of life in Guided. Based on the author’s sixty years of direct voice medium work, it includes step-by-step practices for quieting the mind and creating a clear channel for spiritual communication, allowing you to discover, activate, trust, and follow your own eternal voice while uncovering your soul’s greatest purpose and passion. Filled with fascinating stories and real-life testimonials from those who have communicated with the spirit world and experienced spiritual awakenings through King’s teaching, King clearly explains how to accurately find the answers you are searching for and actualize them in your life. For those who experience an inner urge to explore life’s bewildering, paradoxical mysteries, and deepest sensitivities, and want to step inside themselves and discover that their individual existence is for a purpose—and learn how to intuitively, victoriously fulfill it—Guided is the ultimate guide. Purchase Guided on Amazon Here! In order to understand why people pray, The Energy of Prayer examines the applications and effectiveness of prayer in Buddhist and other spiritual traditions. Arguing that prayer is not about asking some external force for what we need, but about creating an internal environment in which it is easier to get what we want, the book introduces several methods of prayer. These methods are meditative in nature and re-envision prayer as an inclusive, accessible practice that is not tied to a particular religious or spiritual affiliation, but rather that can help anyone create a healthy life through the power of awareness and intention. Ultimately, author Thich Nhat Hanh presents prayer as more than just relaxation: is it a way to satisfy the basic human need to make a connection with something larger than our everyday self. Included are visualization and breathing exercises as well as a rich sampling of prayers, chants, and invocations from the Buddhist tradition. Purchase The Energy of Prayer on Amazon here. 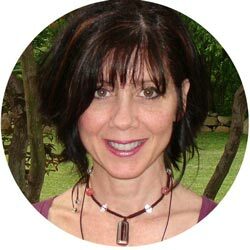 Cheryl Murphy is a gifted psychic, spiritual medium and healer. She is the founder of The Healing Prayer Circle, a powerful, FREE monthly online group prayer circle. She is also leader of her Inner Circle membership, and online intuitive and psychic development training program. Cheryl is a member of The Mind Body Spirit Network. You can connect with Cheryl by visiting here member listing page here. The Man on the Mountaintop tells the story of Holy Man Joe, an ageing and unassuming man who lives in a hermitage on top of a mountain. During the summer months, thousands of hopefuls line the single-file path leading to his door, seeking his wisdom. From bombastic, wealthy nobles intent on cheating their way to the top to drunkards who gradually build the physical and mental strength they need to quit their addiction, The Man on the Mountaintop is a rousing tale full of humour, wit and life lessons. In an Audible Originals production, Stanley Tucci (The Devil Wears Prada, Fortitude) and Toby Jones (Infamous, Harry Potter and the Chamber of Secrets) lead a multivoice cast in an inspiring tale that is as entertaining as it is profound. Also featuring Alison Dowling, Anne Rosenfeld, Avita Jay, Christophe Hespel, Christopher Ragland, Clare Corbett, David Thorpe, Fran Canals, Hayward B. Morse, Jeff Harding, Lachele Carl, Laurence Bouvard, Liza Ross, Lobo Chan, Martin T Sherman, Paul Panting, Rachel Atkins, Richard Rees, Sagar Arya, Sheena Bhattessa, Stephen Hogan and Tim Bentinck. I was having trouble getting to sleep at night. Instead of counting sheep, I found myself counting people going up a mountain to see a holy man. Each night, semiconscious, I came to know this holy man and the pilgrims. My insomnia problem was solved. Now I had a story to write. I wrote it quickly, although years later, when asked how long it took to write, I said 50 years, which was also true. Recently the Dalai Lama said, ‘You don’t have to believe in God to be a kind and compassionate person.’ Joe, our man on the mountaintop, would agree. Purchase The Man on the Mountaintop at Amazon here. If Your Communications Channel of Choice is YouTube….